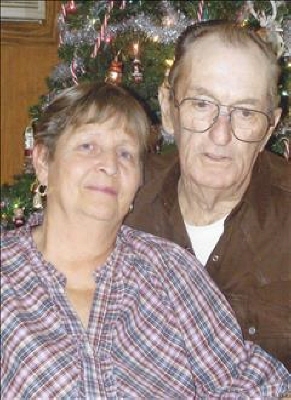 Nancy Jo Cole Garner of Wewoka passed away Friday, March 29, 2019 in her home at the age of 72 with her daughter at her side. Nancy was born in Wewoka, OK on June 8, 1946 to the late Edward and Welene Cole. She married John Paul Garner Sr. on June 22,1962 in Wewoka, OK and too this union four children were born. Nancy's hobbies were serving the children at the cafeteria for many years until her retirement on May 19, 2011 from Holdenville Public Schools. She enjoyed cooking Sunday dinner for her kido's, grandkids, great-grandkids , and anyone who wanted to eat. Preceding Nancy in death his husband John Paul Garner Sr.(1/2/2018) son Walter Williams Garner (1/1/2003) both parents, in-laws and son-in-law Jerry Lemons, one sister Dorothy Caudill. Survivors include children John Paul Garner Jr. and spouse Sandy of Holdenville, OK, Tommy Garner of the home, daughter Jeannie Lemons of Wewoka, OK; 10 grandchildren, 22 great-grandchildren, and 1 on the way; brothers Sam Cole of Mcloud, OK, Charles Cole and spouse Janetta of Missouri, Billy Cole, Sisters Gloria Bacon, and Peggy Cole of Colorado; special niece Kathy Caudill, and special friend and family friend Kristee Seeley.and a host of other relatives and friends. Pall bearers will be Tom Callaway, Bryan Cain, Levi Lemons, Brandson Garner, Jeff Garner, and Robert Babb. Honorary pall bearers will be Chad Smith, Eric Freeman, Mikeal Garner, Charles Collins, Marion Burt, and Clayton Whitlock. Special Thanks to Dr. Toma and Staff, Hilltop Health Care, and Heartland Hospice Staff for their service and allowing Nancy to be comfortable in her home with family these past two days. Funeral service will be 2:00 PM Monday, April 1, 2019 at Stout-Phillips Chapel, with Pastor's Russell Payne and Sam Ketcher Officiating. Burial will follow at Oakwood Cemetery. To send flowers or a remembrance gift to the family of Nancy Jo Garner, please visit our Tribute Store. "Email Address" would like to share the life celebration of Nancy Jo Garner. Click on the "link" to go to share a favorite memory or leave a condolence message for the family.